Your office needs to be a clean and healthy environment for you and your employees. Sick employees, lack of general care, and common wear and tear can make your team less efficient. Alta Janitorial provides custom office and workplace cleaning services that meet the needs of any office type. Keeping your office clean and in good shape will save you and your company money over time. A healthy workplace environment will promote good health among your employees and cut down on sick time. A general sense of happiness comes with a clean office space. 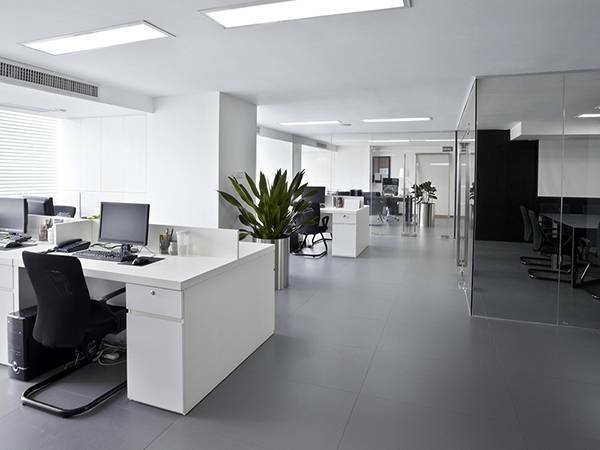 The team at Alta Janitorial can provide custom office cleaning services for offices and workplaces of any size, type, and location. Let us help you save 10% off your current cleaning contract. Take A Look At Our Recent Office Cleaning Jobs, We’re Proud of Our Work! Enjoy an efficient and healthy office space. Get your custom office cleaning plan from Alta Janitorial Today! We were in a bind due to our cleaners cancelling. Alta Cleaning Services was able to set up a cleaning very last minute and they came in right on time. Great service. Definitely would recommend them in the future. Alta Janitorial was awesome for my dealership! We had previous cleaners that charged more and still kept missing what needed to be cleaned over and over again. They made the switch easy, quick, and seamless and got our dealership back to looking almost new on my showroom. I would definitely recommend Alta to anyone looking for janitorial services whether big or small. I would highly recommend Alta Janitorial. I am a Credit Union manager and my branch always looks amazing! The staff is very friendly and helpful! Wow! I am genuinely impressed with the quality work this company does. Thank you Alta for being friendly and dependable. I would highly recommend Alta. Rob Klyde. Alta Janitorial is a wonderful company to work with. They have provided us with excellent cleaning services and their management is top notch! We have used other cleaning services across the Wasatch, and this company has been our favorite by far. They are quick to respond to our special requests and they communicate with us on a regular basis. We HIGHLY recommend Alta Janitorial!